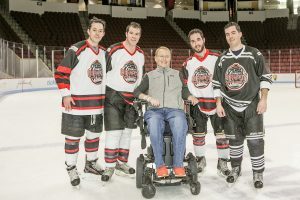 At the Travis Roy Foundation, we pride ourselves on holding events that are fun, engaging and, in addition to fundraising, allow us to build awareness and advocacy for Spinal Cord Injuries. We invite you to join us at an upcoming event. If you have participated in our events, we encourage you to share your stories and photos with us on our social media channels. 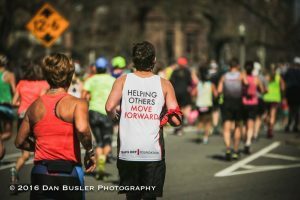 Create your own Fundraiser and Help Others Move Forward! 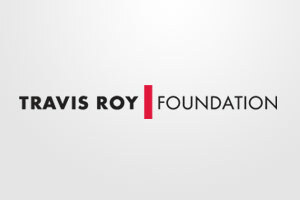 TeamTRF is a grassroots fundraising program for the Travis Roy Foundation. Turn your ideas and interests into a fundraising event – what will you do? The WIFFLE Ball Challenge Tournament will be held on Thursday, June 13 at Boston University’s Nickerson Field. Whether playing, volunteering, or watching, this event is always great time and raises money for two great causes! Oh what a tournament! 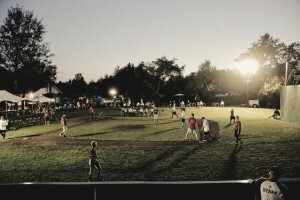 Click here for information about the August 2019 tournament or for highlights from last year. 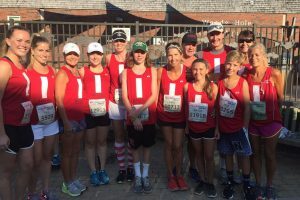 Register for various running and athletic events throughout the country, on behalf of the Travis Roy Foundation.